Workflows group Enhancements and Global Edits and run them together as a single action. Use Workflows to make a series of tasks easier or combine all of your work into a single step. 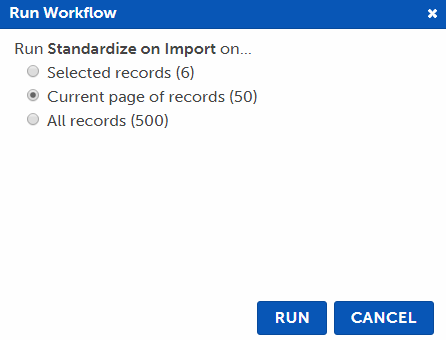 You can run a Workflow when you import a MARC file, so utilize them to perform standardization automatically when you bring your records into BestMARC. You may want to create separate Workflows to handle tasks for different schools, different collections, or different vendors. For example, you could create a Workflow that automatically runs the Award Notes enhancement, Subject Heading Updates enhancement, and performs 3 special Global Edits for a particular vendor called "Import Vendor A records". 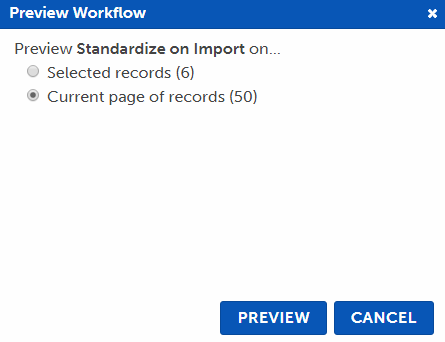 Share the Import Vendor A records workflow with your organization so when receiving a new file from Vendor A, any colleague can import it with this workflow. If you later decide to add or change the processing for Vendor A records, update the workflow to perform the additional work without having to change the process for the staff who continue to run Import Vendor A records with the fresh changes. 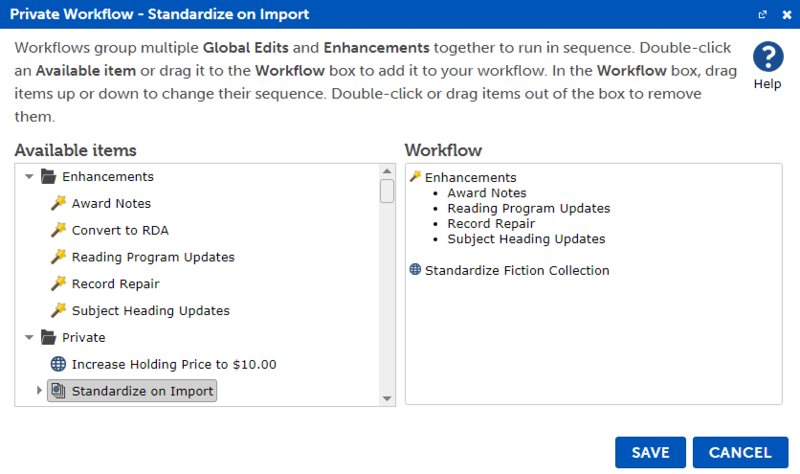 Add Enhancements or Global Edits from the Available items list to the Workflow list. See the Configure section below for more details. Enter a name for this workflow and click Save. The Workflow now appears in the Private folder. To make changes to it later, select it from the list and click Modify. Any of the Global Edits added to the workflow now appear underneath the new workflow in the list. Click the arrow to the left of the workflow icon to expand or collapse it. On the Tools pane, find and select the Workflow you want to edit from the list. Click Modify, or right-click on it and choose Modify. The Configuration window is where you define which Enhancements or Global Edits you want this workflow to run, and in what order. 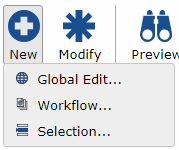 Double-click on a Global Edit in the Available items list to add it to the end of the workflow. Alternatively, click and drag it to the Workflow list. 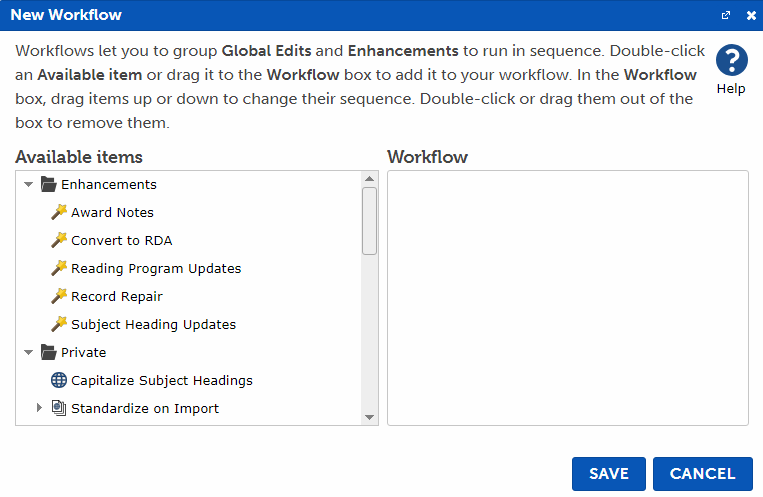 Double-click on a Global Edit in the Workflow list to remove it from the workflow. Alternatively, click and drag items in the Workflow list out of the list to remove them. 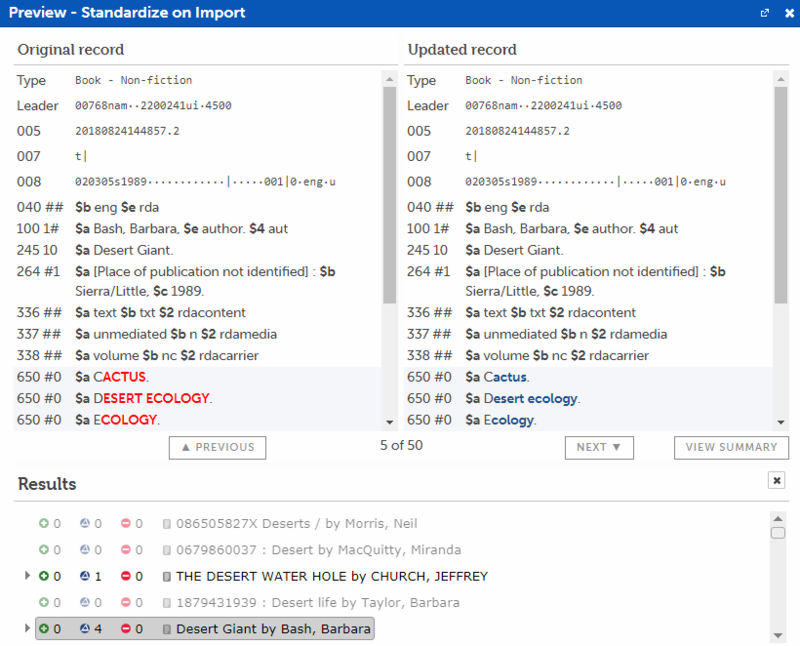 Items in the Workflow list can be dragged up or down to change their position. Items will run in order, from the top of the list to the bottom. Enhancements are always run together as a group. You can place Global Edits before or after Enhancements. After configuring your Workflow, click Save to save and return to the Tools pane. Before making changes to your records, you should test your workflow to make sure that it works as intended. Preview opens a side-by-side view of your records to let you compare changes, but does not save them. Note: Enhancements cannot be previewed. When previewing a Workflow, only the Global Edits in it are run. To view changes in Enhancements, run them and then use Checkpoints to compare or restore the changes. Select the Workflow and click Preview on the Tools pane. Click on a row in the Results section to view it in the record viewers above. Click Previous or Next to select the previous or next records in the list. The numbers in the results represent the number of Adds, Changes, and Deletes that were performed by the workflow. For instance, this row has 0 Adds, 4 Changes, and 0 Deletes. When you are confident that your workflow is working correctly, run it on your records to make the changes. Select the Workflow and click Run on the Edit tab. Select the records to update.